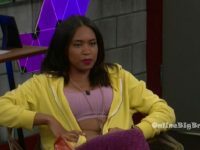 Big Brother Spoilers – Bayleigh won the Week 5 Head of Household Competition and it went straight to her head. Her target is Brett her alliance HIVE thinks he’s going home but what happens almost every week to the HIVE/FOUTTE? Lucky for them they can win competitions. 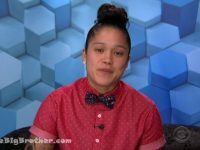 Kaitlyn was evicted last week by a vote of 9-1, She was given a 6 piece 3D puzzle to complete to re-enter the house but failed. Kaitlyn is now gone from Big Brother 20 and posting madness on Instagram. Bayleigh and Tyler still have their powers and nothing new was introduced into the game (thank god). 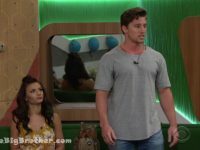 Tyler has kept his quiet but Bayleigh told hers to Fes/Rachel. As of writing this Angela, fez, Kaycee, Tyler and JC now know about the power. Bayleigh makes it clear to the remnants of the FOUTTE alliance that her target is Brett. Her pawn selection comes down to JC and Rachel. If Veto is played she keeps it a mystery who would go up but makes it clear that she’s solid with Scottie, Rocks, Haleigh and Fes. To the Level5 alliance she makes it no surprise that Brett is the target and pawns are a choice between JC/Rachel. 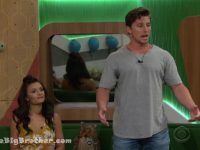 Bayleigh makes it sound like Scottie is a potential renomination and to most people is sounds like she’s leaning towards JC but is worried he’ll freak out. Level 5 thinking they have the votes as long as only 1 of them stays nominated. Bayleigh and Rachel talk forever about going up as a pawn eventually Rachel is “fine/not fine” with it. Bayleigh tells her about her power app to seal the deal, Says she’ll consider putting Scottie up if Veto is used, says she’ll use the veto on Rachel is she wins it and offers deals working together moving forward. Tyler wins the Power of Veto. Bayleigh doesn’t want it used obviously. 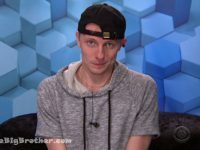 The Level 5 alliance has essentially decided to keep Brett over Rachel. Tyler tells Rachel he can’t use the veto because Bayleigh will put up Angela. 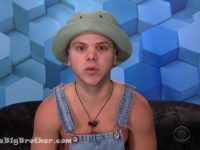 During the power of veto ceremony Tyler chooses not to use the Veto . Nominations stay at Brett and Rachel. FOUTTE is disbanded and a new alliance arises out of the ashes. Harnessing the power of BB6 friendship THE HIVE is formed. 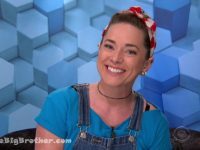 a brain child of Scottie, The hive is composed of ROCKS, Haleigh, Bayleigh, Fes and Scottie. They can never be on the right side of the vote but they can win HOH’s and POV’s like nobodies business. Level 4 + Sam + JC is going to evict Rachel. She has no clue about her eviction neither does the HIVE. the Day prior to the eviction show was spent locking in the votes it was pretty calm. 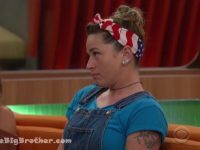 Angela, KAycee and Tyler do some mental gymnastics to justify cutting Rachel over Brett. Angela showed a cold side that surprised Simon. 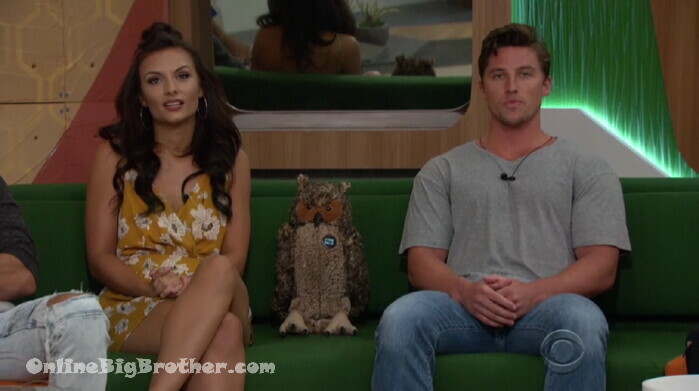 The bottom line is Brett is better for Tyler/JC to stay so that’s going to happen They houseguests were shown video clips of various gifs from the season. Rachel is getting evicted. the question on everyone’s mind is will the HIVE think it was the wounded baby bird and JC that flipped or will they stick to their standard model and think it was 2 of their own? My money will be option 2.. LOL .. Tonight’s show is going to be another glorious eviction. Rachel thanks Jesus Christ hates being on the block next to Brett.. she loves them all. Brett – I want to call out the elephant in the room.. Rachel is the pawn.. Rachel also told me Bayleigh has the power app.. Rachel is the leader of the maneaters and Sam is in that alliance. Rachel is fully blindsided and is speechless.. She’s really devastated. Rachel is shocked about Angela double crossing her. in seconds what was the total time of the out on the limb endurance competition from the offical start to when Tyler hit the ground. Each week a player will get a power to ruin opps I mean Hack the game.. we’ll find out more on Sunday. The HOH will NOT be altered. His notes apparently wouldn’t have helped him. Notes examined by producers in DR, taken away, told it violated BB Rules. No punishment was given. Just warned. I dislike people who break BB Rules in general so if you’re upset, I get it. Is RealVegas4sure someone in production? I look at his/her Twitter feed and it looks like a really hands on with inside insights . They must have some association with production as their spoilage has been accurate. Fes was writing stuff down using eye liner to help him in a memory competition tonight. Just basic cheating. I do not know if we can call it “cheating” but it’s a mighty fine puppet show. I think they can piece it together. Its not really trigonometry. They only had 4 votes. Bay knows Hay, Rock, Fezzy are solid for sure. The 4th vote is sort of irrelevent. They can guess. But the point is they cant really trust anyone else. So it doesnt really matter if it was scottie or someone else. They have to assume that they are down to 4 tight members (bay hay fezzy rock ) or 5 if they trust scottie. Everyone else is suspect and on the other side. And they have to be concerned about sam and jc floating back and forth. Process of elimination is that Brett, Tyler, Angela and Kaycee are tight. JC and Sam are floating. So glad we get a SwaggyC segment…. Didn’t Bayleigh’s parents have the opportunity to watch him bang their daughter on line? He better wear a kevlar vest. the mom and sister seemed aware but had kept the dad in the dark (though he seemed like he did know). Just now watching the show on TV (DVR’d it) and disGUSTED that they are wasting any time on Swaggy C & Bay romance. He’s old news. Just now reading about Fez’s cheating – what a load of crap! He shouldn’t be allowed to compete. I don’t see the purpose. Her mom is as dilusion as queen bay! CBS sure loves them some Swaggy C! Wasnt there a big thing this week about JC asking Rachel if she was trans? I came up on my Google news feed. I saw some things on it. I’ve always thought JC and Rachel had a joking relationship like that so I didn’t look into it. Do you have a time stamp? JC maybe should just have a permanent spot in the outrage category.. It was on July 30th but I can’t find the time. ???? the 5 hour hammock leg rub that was the nail in the fes/Haleigh love coffin. As Sheldon says it’s eidetic memory=) True eidetic memory is also extremely rare. Many people can develop superior memory retention ability with practice. Other than that my boy swags does alright..
I’m trying to imagine what my future Father in Law would think if I showed up and gave him a hug and said “Hey, bro”. Did Swaggy really show up in his Swaggy gear with Swaggy persona? As a parent, I would see throught that $hit and not tolerate that disrespect. If he is serious about her, he should be himself. Be Chris. Not some alter ego. Are the houseguests not alliowed to talk while others are voting? I want Rachel to call out level6 on her way out!!! That would awesome tv as she loses it! Rachel is in such shock she can’t have a conversation with Julie. I felt sorry for her. It was the best game move, but Angela’s goodbye message to her was savage considering they were suppose to be super close friends. Unnecessary. Simon, can a permanent meme of Rockstar ‘s shocked face be created? If not, I’m sure there’ll be another one next week. Yes she does robin. yes she does indeed. Rachel’s exit interview was the BEST! Loved it! Rachel seems like she’d be fun to hang with on occasion. She will be the 2nd person in jury. Hope Bay takes her HOH and put up Tyler and waste of space, Sam. I felt bad for Rachel but I can see why Angela was suspicious since Rachel was on the block. Bayleigh heard what she wanted to hear and it got spread from there. That was so unnecessary and just mean, right? She’s not even in jury so there was no reason to decimate her and be so cold in her goodbye message. Could Brett be on the block every week please! That is what should happen every week. Playing the game right to the end, not the standard “I still want to play the game speech”. woohoo!! angela!! buh bye bay’s power app. Holy Toledo Rockstar almost pulled that off, we were just seconds away from having the entire house nominated and back-doored this week. LOL I almost had a heart attack when I saw the screen shot above showing Rockhead and Angela, thinking The Rock might have pulled it off. Not happy with Angela right now, but L5-6 needs the numbers. Who knew that 30 X 60 = 1200? One of the telletubbies beamed that info to Rocks in Her Head. Obviously a common core graduate…. So the big question is, who is Bayleigh going to nominate? It was almost like she knew the answers……….Not the first time that happened. How did Rockstar come up with that answer? 3 * 6 =18, not 12. No wonder she made that face and shrugged. Yeah, it was a high stress situation, but man that’s embarrassing. Seriously if they don’t catch on to Tyler now. That boy should bottle and sell whatever it is he’s got. 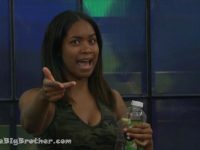 If Rachel had said it was anyone else that told Bayleigh that. They would have believed her. Boy is good !!!!! And I thought Brett said Sam wasn’t a part of the girls alliance. Did I hear that wrong? It’s going to be a crazy week. Not yet. But the Kraken may be stirring if production starts being all hamfisty. I don’t know why they would though. We have power shifts, folks flipping the vote, the guys in charge of the votes are still on the losing end. There’s no real reason for production to try and create drama, there’s something for everyone right now. I also think things are going to get squirrelly in the next couple weeks if production stays out of it. First…… I want to say that I feel bad for Rachel. She looked really upset and hurt when Brett made his speech all about her. I kind of saw a side of Brett that I don’t like. He looked like a smug a$$hole…..and Angela and her goodbye speech, WTF…… What a Bit%h!! I mean this was your #1from the start….you think she lied to you? Why the heck wouldn’t you talk to her about it, I mean you two were supposed to be close….I hope when she gets out and sees the truth that she feels bad……. Second……What was the point of Swaggy meeting Bay’s family? What a waste of time that was. I would of rather seen more clips from inside the house NOT that…..Luckily I was a little behind and was able to fast forward through it. 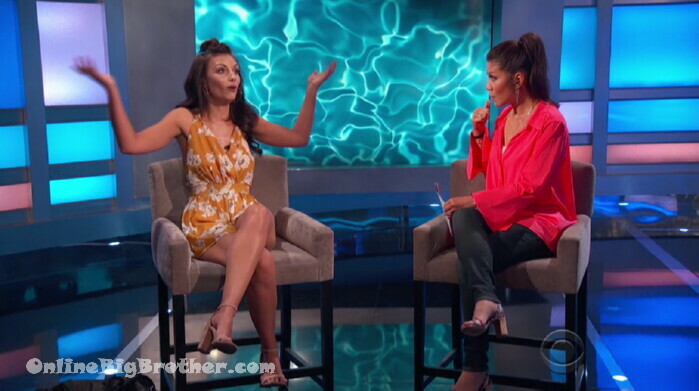 And lastly…..After Angela’s message to Rachel, I am not sure how I feel about her winning HOH but I am sure glad that it wasn’t RS. I don’t think I could of handled a week of listening to her talk. On a side note I wish Winston would of stayed and Brett went home. You weren’t the only one to fast forward the Chris clip. finale night I’m expecting to see him wrapped in a swaggyC flag. Its called liberal logic. To the rational individual, its called hypocrisy. Well, that was worth the price of admission. Unfortunately Allison Grodner has a new boy toy to cause drama, so you can expect her to invent new rules to keep Brett in the game. Isn’t it funny that after that Kaitlyn puzzle scheme failed, Grodner comes right back with a new scam to keep her favorites in the game. So Brett and Tyler will have an easy ride for a few weeks. Bay delivers rating so she is safe too. Angela and Hay are solid eye candy so they should be safe. Fezzy is turning out to be a dud. i am going to have to say that at the end of the day Angie puts up Fezzy and Scottie. IMHO, if she gets the chance to put up anybody at all initially, she’d be an idiot not to put up Bayleigh to either get rid of her AND her power, or to force her to use it, thus eliminating it, to save herself (if it can be used that way, which remains unclear to me). L6/5/4 knows she has it, so best to force it out now so as not to have to worry about it in future weeks. Did anyone notice Rockhead showed her work 30×60=1,200. Do you begin to understand the effects of drugs on the brain? Whatever.. Wake me up when a GUY decides to win an HOH maybe. peace out, see y’all next Thursday when i’ll be crossing my fingers for a dude to finally win an HOH. Does Sam have access to a computer in the house?! Awesome episode. I feel sorry for Rachel, but that was fantastic. That’s what this game should be like. Oh…Bay…you disappointed me again! I was hoping for your big eyes & open mouth when Brett revealed your power app. Rockstar’s reaction was good…..huh???? The blindside was great! 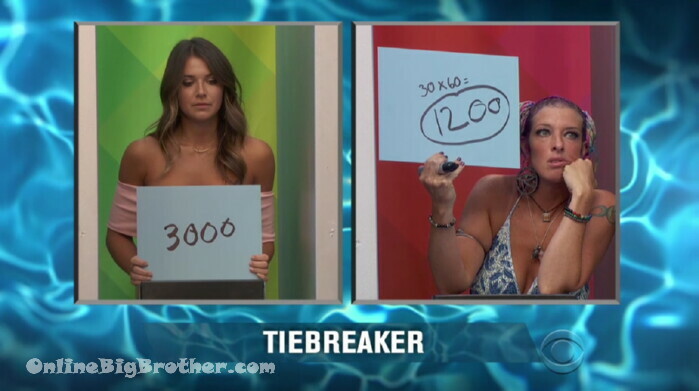 Sooooo glad Angela won HOH. When she was up there with Rockstar on the tie breaker question…..I stopped breathing! Good Grief….Rockstar as HOH! Nightmare! Angela should put up Fessie & Scottie & backdoor Bay. I don’t think she’d use the power app for them. This is the best season in years!!!!!!!!!!!!! explain to me why she WOULDNT use the power app for Fes.. I don’t think she’s going to use that app on anyone but herself. She’ll save it until the last time she can use it. How would she know? She’s supposed to use it BEFORE the HOH names the noms. So if she doesn’t use it, then the moms are made, it would be too late for her to use it! I think she’ll use it. Put JC and Tyler up. If L6 wins veto, pulls one of them off. Backdoor Scottie! Voila! Power flushed! Worse case, if L6 doesn’t win veto, Tyler uses his power, Angela puts up Scottie. Scottie goes home! He’s the biggest threat in the Hive. Because she may need it for herself next week (last week she can play it). She can use it until there are 8 players left. She is lying to people about the duration of her power ap. I believe Bayleigh’s app would be invoked BEFORE Angela’s nominations are revealed. I’m not sure if they’d show Angela’s picks or not but Bayleigh would have to have already picked hers. I could be wrong but that’s my take on it. 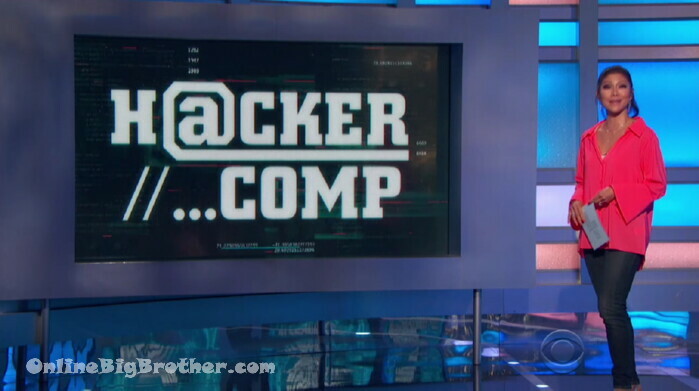 So the Hacker app is another means for production to shield folks but is it really needed this season? Was it season 17 when they were supposed to have the twistiest twisted twists ever in the game but there was enough crazy so they stopped after three weeks? This is going to be a great week! They have to be careful with Bayleighs app but hopefully they will get Fester, Bayleigh or Scottie out in the end! Rock monster or Hailegh is a waste. 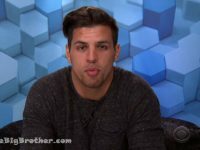 I felt really bad for Rachel n especially Angela’s good bye message was brutal n nasty… Rachel wld of been a good juror to have n entertaining… Brett was just an easier player to keep being a big target n shield for level 4… Angela most likely will put up Fessy, n Scottie!!! Possible backdoor option of bay if she uses her power… Gonna be sweet feeds night… So Happy Rockstar didnt get HOH!!!! Has Bay gotten a period yet? Or is that why all the excessive “Swaggy C” airtime waste? Family bonding time? Did Bayleigh really say that her stomach was in her gut?